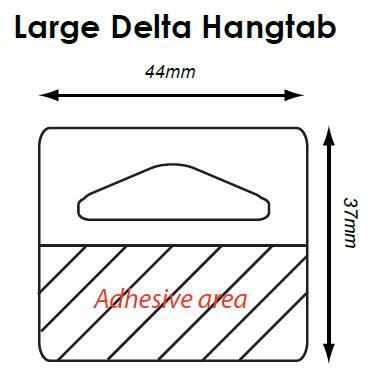 HANG TABS are made from clear, sturdy plastic with an adhesive section that will stick on most surfaces. The hang tabs are ideal for hanging lightweight items onto peg hooks or free standing counter racks. The hang tabs can also be used to repair or reinforce damaged packaging. Hang tabs can be used to increase visibility of products. 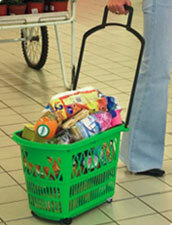 Retailers know that shoppers stop shopping once their basket is full or becomes too heavy to carry. Our rolling shopping baskets offer the ideal solution with a massive 28 litre capacity (against the standard 20 litre wire basket) and at the same time, even when full, the basket is simple and easy to manoeuvre.